If there’s one thing that makes me upset in the development sector, it is pictures of children with flies in their eyes. You might also get upset by these pictures, they might pull at your heartstrings or bring tears to your eyes. We’re probably upset for different reasons. 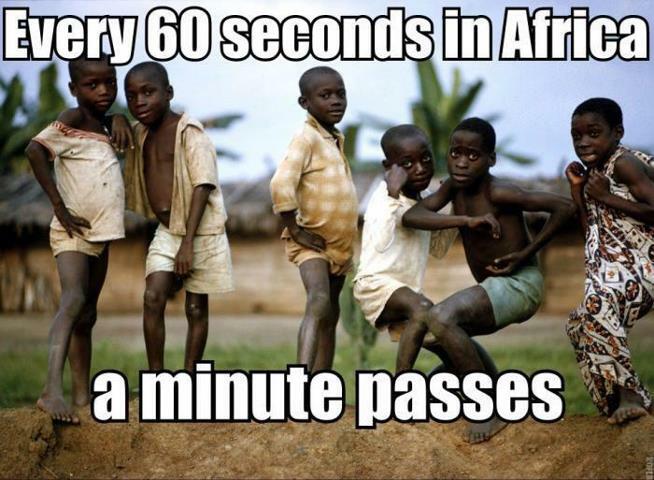 I’m upset because these pictures have done so much harm to ‘Africa’. What do you mean? You might ask. Aren’t these pictures from organizations that are helping `Africa`? Organizations that use pictures of crying mothers and children to get donations might be doing some good, it depends on the organization. But they are definitely also doing harm. These pictures and Sunday morning infomercials, with the help of global news agencies, have shaped the ‘West’s’ perception of Africa. Of Africa as a place of abject poverty, violence and generally the ‘heart of darkness’. They promote a very one-sided, single story of Africa. A story that misses the context, misses the history, misses the potential, misses the opportunity and misses what Africa is and can be – a place of many stories and complex social, economic and political structures and people of all walks of life. Some say, poverty exists, so shouldn’t we expose it? It’s true, poverty does exist and famine exists and destitution exists (the reasons why I do what I do) and we need to make people aware of that. People should not be blind to the problems of this world and the plight of the billions of people living without their basic needs met, in vulnerability and other unacceptable situations. However, I’d argue that these images are not helping the ‘West’ to better understand poverty and how to address it. Rather they are creating false impressions that poverty will be solved by ‘charity’, by sending a few books, a new dress and a bit of money.That’s wrong. Poverty is a complex situation of systemic problems, structures of inequality, inadequate social services on top of individual circumstances. Donating a bunch of books or second hand cloths is not the way to solve the difficult structures and systems that result in global inequality, vulnerability and poverty. Moreover, these pictures are misrepresentations of people living in poverty. In years of living in West Africa, I have never once seen a child with flies in his or her eyes. Yes, I have seen people who struggle to pay their children’s school fees. I have seen families have to make choices between food and health care. I have seen children pooing beside trash bins. I have seen a complex web of decisions, structures and systems that have led to children being underprivileged and left behind, that have led to unacceptable situations. But no flies. A child with a fly bugging him or her in Ghana would not sit there crying, but would shoo away the flies and go run and play football. Because that child can make decisions and can take actions. These images show helplessness and people without dignity. People living in poverty are still people, people with agency, dignity and their own stories. People who make choices, often very difficult ones and with much less options than are acceptable. But still choices and still agency. Development organizations also have a choice. A choice to use or not to use pictures that take away a person’s dignity to get money to ‘help’. To choose how they represent their partners and beneficiaries. To choose how they represent Africa to the rest of the world. We can stop showing pictures of `helping` and start using media that prompts investment in the next global business, leader, innovation or invention. Showing `Africa`not as a place in need, but as a place full of universities, tech hubs, business incubators and global leaders, many of which are striving to solve problems of poverty and vulnerability. Pictures of strength, hard work, laughter, every day activities, complex economic systems, hubs and new technologies might not bring in as much charity dollars, but hopefully they allow the space for dignity, agency, sustainable development and change. Hopefully they tell the multiple stories of many different people living in Africa.